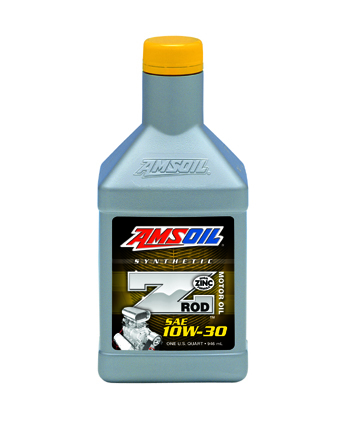 As an AMSOIL dealer one can use our store as the supply line and sponsor as well as service tens of thousands of commercial and retail account potentials in town. We are working diligently in making AMSOIL a household name so there has never been a better time to work with us as an AMSOIL dealer!! I have plenty of detail on my main site. Please get in touch if you are interested! AMSOIL pays you a cash commission based on the purchases of any of your accounts. 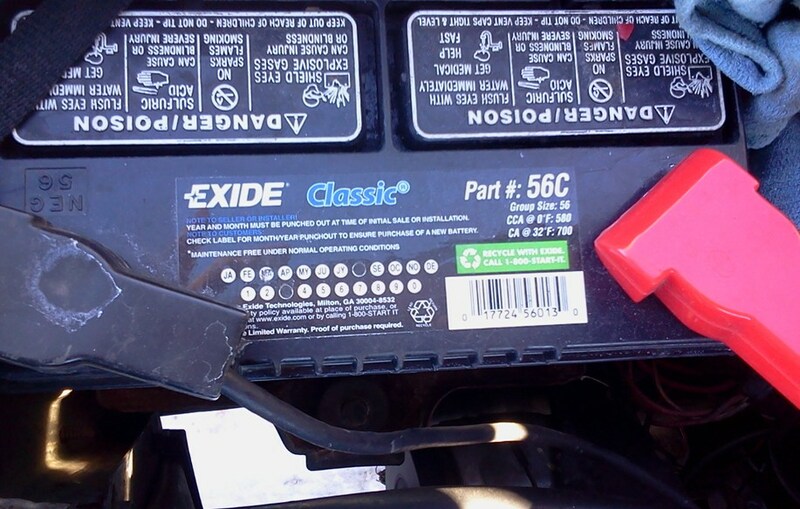 Add life to your car battery! AMSOIL keeps Eagle on road! 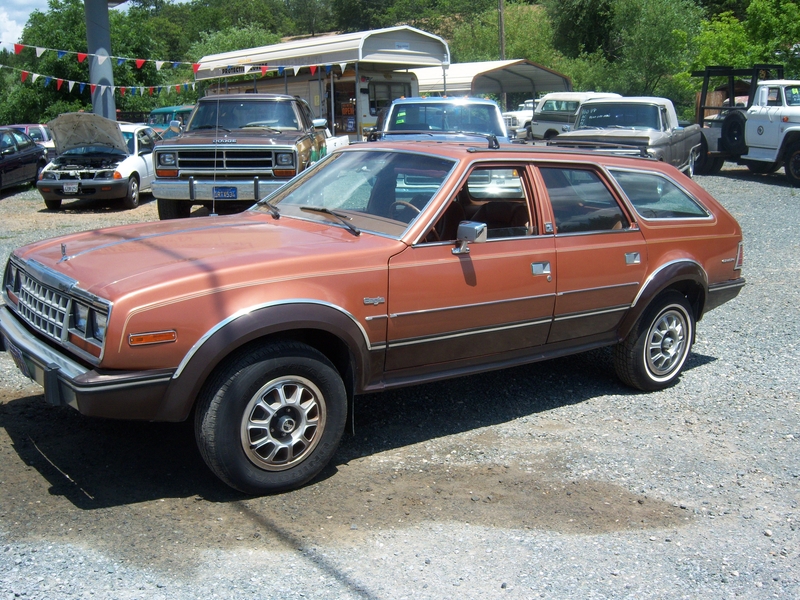 Our 1983 AMC Eagle is the car we depend on most in the winter. The switchable fourwheel-drive is invaluable here in Sioux Falls, SD (our home office). 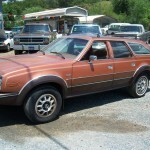 This is also the car (station wagon) we use to move all the loads to the Sioux Falls store. In the photo you can see this is an old car battery. I bought it in 2007 but its marked as 2002 so it was on the shelf awhile. The car is mostly stop and go and our office is only 1.3 miles from the store so often it has more load than charge. In the winter it is parked mostly outside and some days or quite a few this winter it gets started around -5 to zero degrees!! Sometimes lower. 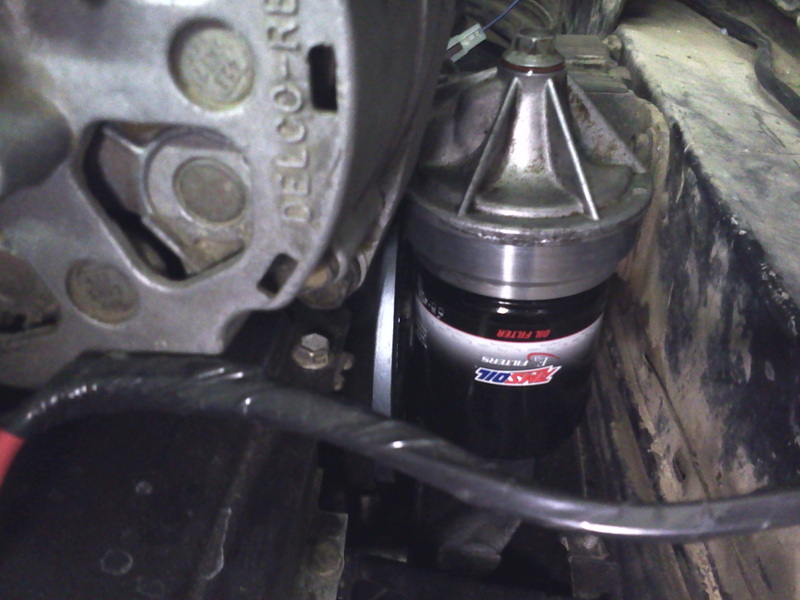 I can say AMSOIL will add significant life to the battery. The load reduced is significant. It’s actually measured by “Brookfield Viscosity” which AMSOIL synthetic motor oils have a VERY low loss of torque compared to other synthetics. Reduced stress converts to a reduction of many headaches over the years! You can see AMSOIL saves me a car payment by keeping these delightful cars on the road beating the odds of common failures. 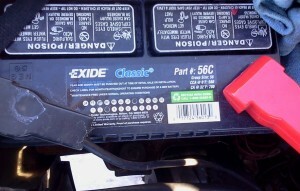 Battery dated 2002 installed in car 2007. The 10W on a motor oil is not the “cold weather start up weight” or viscosity but rather represents “Winter Weight Group”. The number after the hyphen is the actual operating viscosity. But the 10W simply represents a wide group of numbers required for that group. The lower the winter weight number means the more fluid the oil will be at lower temperatures. It’s still going to be thicker than when the car is warmed up. A 5W test is taken at a different temperature than a 10W test. I’ll look for the chart and update this blog with that at another time. But in the mean time know that AMSOIL saves you more than oil change time and fuel, the life of your battery is extended too!! Impressions will be recorded but the car is on jack stands getting the rear suspension updated and the floor is being rust proofed. We have a lot of other processes going on so the Corvair updates may take time. I am working on several websites, expanding our business and serving our daily walk in customers. I am planning the Corvair to be the car which gets the most miles!! Wait till you see the suspension mods. Anyway I just switched out the Clarks factory style oil filter with their oil filter adapter so we can use the AMSOIL Nanofiber oil filters. These are the best oil filter money can buy. Why? Because they are “absolute” at 20 microns, use a glass fiber which used no resins which will flow throughout its lifespan at all temperatures. The capacity is at least three times of any other filter its size due to the small fibers and controlled filter areas. Here are a couple photos of the unit with our filters. (I’m using the old EAO-57 from a stock load of years ago – this filter is replaced by the EAO-51 now). The bypass kit will follow soon!! I have not decided if I will go with the single or dual. I have made a 2nd spin on oil filter adapter with a port to feed a single should I wish to go that route. Oil analysis will be recorded! 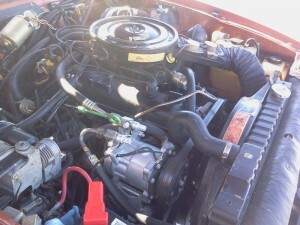 Future mods to the engine will be fuel injection! 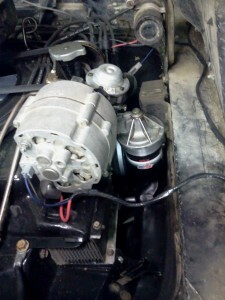 Close-up of Corvair oil filter and adapter. AMSOIL Dominator® Coolant Boost is designed to reduce corrosion and significantly enhance heat transfer in cooling systems. One of the overlooked benefits of better heat transfer is much quicker engine warm-up in winter conditions, which is noticed when the vehicle’s defroster works much sooner. To understand how Dominator Coolant Boost reduces engine warm-up times in cold weather, it is imperative to understand the fundamentals of an engine’s cooling system and how Coolant Boost’s proprietary tiered-surfactant technology works. The same tiered-surfactant technology that aids in reducing engine operating temperatures also decreases engine warm-up times. In a vehicle’s cooling system, the ultimate goal is to quickly and effectively move heat away from engine components, permitting the engine to run at a safe, controlled temperature. An effective cooling system reduces stress on all aspects of the engine, including the lubricating oil. Alternatively, a corroded cooling system that transfers heat ineffectively will eventually lead to engine overheating, breakdown of engine oil and catastrophic failure. Before studying tiered surfactants, it is important to understand what a surfactant does in a cooling system. A surfactant reduces the surface tension of water and antifreeze, allowing closer contact with metal parts. This closer contact increases the coolant’s efficiency in transferring heat away from hot engine parts and out through the radiator and fan. Many leading coolant additives contain only one surfactant, limiting their temperature ranges and ultimate effectiveness. AMSOIL Dominator Coolant Boost uses three surfactants, each designed to operate in a different temperature range to increase liquid-to-metal contact from the time the vehicle starts to the time it reaches operating temperature. Graphic A illustrates how each surfactant in Coolant Boost’s tiered surfactant technology is designed to provide optimal performance over a wide temperature range, while competing products with only one surfactant are limited to performance in a single temperature range. Graphic B outlines controlled testing of AMSOIL Dominator Coolant Boost with a 50/50 antifreeze/water mix. When a cooling system reaches 120°F, the operator typically feels warm air coming out of the defroster. The time it takes to reach this temperature with Coolant Boost is reduced by 45 percent compared to the 50/50 antifreeze/water mix alone. Through the use of tiered surfactants, AMSOIL Dominator Coolant Boost delivers quicker warm-up times in the winter and reduced engine temperatures in the summer, making it an excellent choice for year-round use. Another great product which has benefits for all customers with liquid cooled cars & trucks and powersport equipment. Increases the efficiency of the cooling system up to 19*F when used w/ straight water. Key for powersports. Significant corrosion resistance: robust mixture of corrosion inhibitors that protect the radiator, heater core, water pump, cylinder heads, engine block and intake manifold from the damaging effects of corrosion. Use to boost corrosion resistance level lost in older antifreeze. Many drivers know their antifreeze is past due for service. Use this cost effective product to reverse acidity for the meantime. Designed for low temperatures too – Allows for faster heat distribution resulting in quicker warm-up times and earlier heat for the passenger compartment/defroster. From blog entry: Sub-zero cold has once again gripped us here in Superior, Wis., while folks in Boston continue to dig out from their snowiest month ever. Living in a region dominated by winter weather forces you to get resourceful. AMSOIL Dominator® Coolant Boost offers a simple, inexpensive way to help take on Old Man Winter. Coolant Boost delivers much quicker engine warm-up in winter, which is noticed when the vehicle’s defroster works sooner.